Google has released a nice update to their photo editing app, Snapseed. The update brings back a popular perspective tool while adding a new export feature and other improvements. 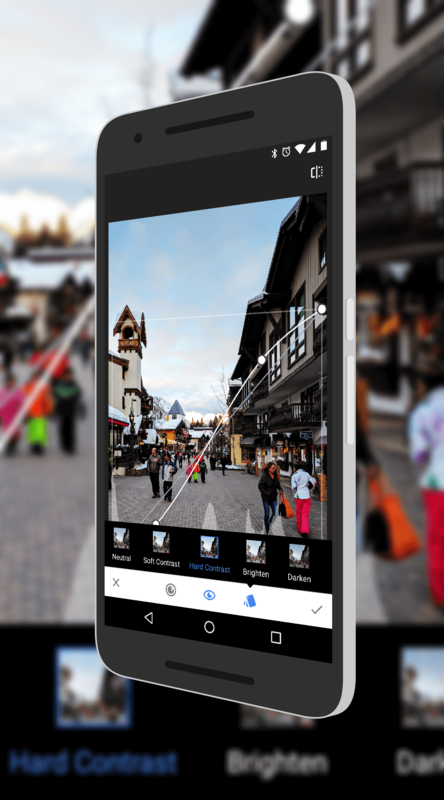 The vertical and horizontal correction tool is back, allowing you to quickly and easily adjust the contrast and saturation of a photo just by dragging your finger across the photo. It makes editing quickly and like other filters in the app, there are several preset ones for you to use as a starting point or final edit. Along with this, the Face filter has been improved with a choice of styles for you to use. In addition to the Smooth and Eye filters, there are a couple of new Spotlight as well as combination filters to help enhance the faces in your photos. saving your photo. If you have a device that uses a SD card, this gives you the option to export your creations to that card instead of your device’s main storage. Finally, the Text tool has been improved to make centering of your text a bit easier on your photo. If you have Snapseed installed on your phone or tablet, the update should come to you as an OTA update sometime in the next few days. If you haven’t checked out the app, it is free (as are the filters in it – no in-app purchases!) and is one of the easiest photo editing tools out there for Android.